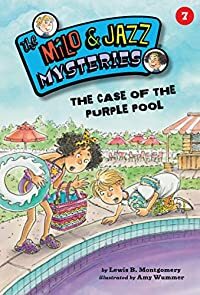 The Case of the Purple Pool by Lewis B. Montgomery: Synopsis and Online Purchase Options. Synopsis (from the publisher): How can a pool suddenly turn purple? And who could be behind it? Detective duo Milo and Jazz make a splash as they investigate their most colorful case yet!